We are all familiar with the startup worlds of Berlin, Stockholm and Silicon Valley, but where do we look for Asia’s startup hub? You might want to switch your gaze away from the skyscrapers of Hong Kong, Tokyo, and Russia. Southeast Asia could be your much-overlooked gateway into Asia, and here are some reasons why. Southeast Asia consists of multiple countries with different development stages and cultures. Each of the ten ASEAN nations come with their own set of consumer behaviours and local customer needs, in which there still exists various problems to be solved. Given the sheer collective population size of SEA (~630m), twice more than the US (~320m) and its increasing affluence, there has been a significant paradigm shift. The US and Europe are no longer the epicentres of internet usage, with almost half of all global usage, currently out of Asia (pictured below). This number has only gotten bigger over the years. 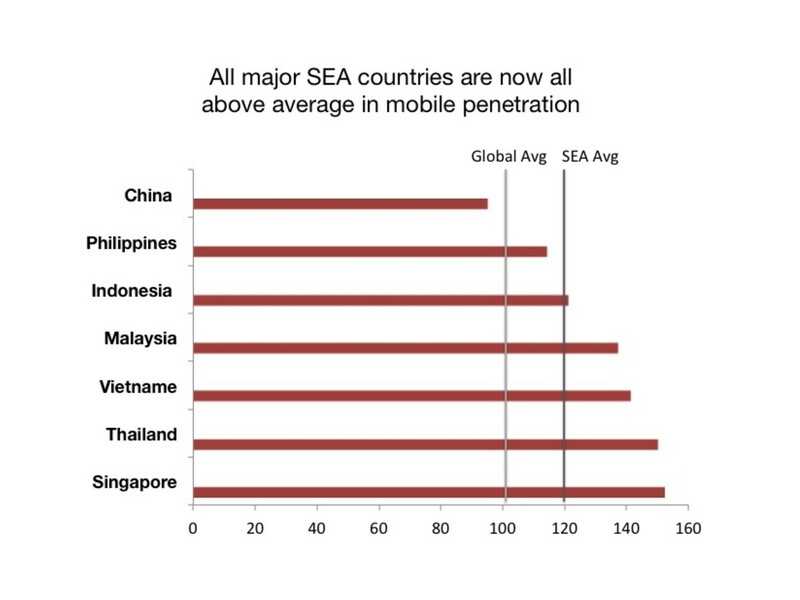 Most of the emerging markets in Southeast Asia are catching up quickly on smartphone usage and its major countries are currently above the global average in mobile penetration. This consumption is expected to grow exponentially by 2020. For example, Vietnam has seen an increase in smartphone possession from 35% to 65%. By 2020, almost three out of four households in China, and two out of three in Vietnam will be equipped with a mobile device. This has shaped a new age of retail/buyer behaviour led by an increasingly affluent crowd. Consumers have come to rely on apps to improve their way of life, be it through travel, retail, health, education, etc. This is due in part to the successes of our Southeast Asian predecessors such as Go-Jek, Grab, Alibaba, Lazada, Zalora and Traveloka. All of whom have sought to improve the efficiency of life by reducing the time spent on menial tasks and increasing the convenience of its services. And this is just the tip of the iceberg. Southeast Asia has an abundance of issues like underdeveloped infrastructure and logistics, and they present great opportunities for startups to come in and solve real problems on the ground. Situated on the crossroads between Oceania to East & North Asia, there is a natural closeness not only to Asia’s major financial centers, but access to funding that these neighbouring countries inherit. Southeast Asia concentrates numerous technology giants and big e-commerce/internet players in the region. 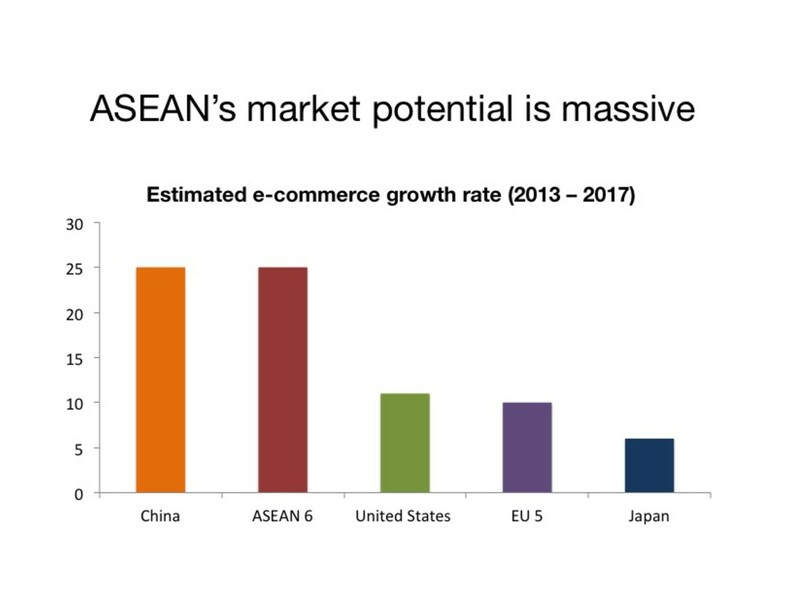 The growing markets among ASEAN countries, as well as the amazing speed at which the e-commerce industry is expanding, symbolise huge potential for this region. It is also notable that China in itself is quickly becoming a superpower for technology. Many Chinese investors are closely connected with the Southeast Asian market and have invested/introduced different ventures to the region (for e.g. Mobike). In addition, lower tax rates make it more attractive to the founders, with the enticement of a fairly high-income bracket. The current climate is no longer a boring place with many opportunities are waiting to be unlocked! 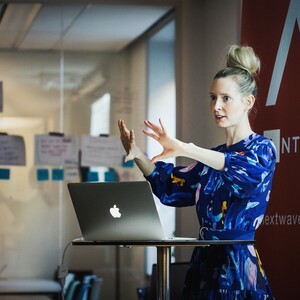 It is also noteworthy what creating a strong network of experts and insiders could bring to a startup. There is a growing number of key investors/VC funds based out of Asia, looking to support the growth of Southeast Asia’s startup scene. This strong and quick growth is something which cannot be ignored. Leveraging off the availability of these partners and advisory networks will equip founders with sufficient support to excel in their ventures. Southeast Asia is one of the most rapidly growing regions in terms of the economies. Led by Singapore, the most developed country in the region, other countries such as Vietnam and Malaysia are quickly catching up the digital steps. It is also possible that Asia will become a bigger market for internet/online marketplace than the Americas. Countless companies have specifically targeted Southeast Asia for their next stage of development. A recent survey showed that Singapore has the most amount of successful startups in Southeast Asia, while Thailand and Malaysia are catching up (see below). Thus, adding more start-up segments in Singapore will help to reinforce the capabilities towards becoming startup hub. And Antler’s base in Singapore could provide you with excellent networks and opportunities to kick-start your own venture on the little red dot. Representatively, the development of Southeast Asian startups has very notable progress. Brands like Grab, Zalora, Lazada and Foodpanda have seen rapid growth in the region, thanks to their unique proposition towards local customer needs. We’ve seen successes in the adoption of new e-commerce and mobility services, however, there is still a huge white space for products and services that have not fully penetrated the SEA market. There is definitely more room for growth in other areas such as the healthcare, education, and logistics space. 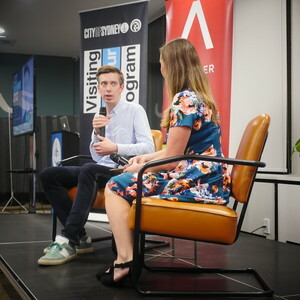 This coupled with a burgeoning quality of talented product and growth builders, engineers and business savvy individuals have led to a more than favourable ecosystem for startups. In some places, there has also been strong support by governments and larger corporations, such as the multiple startup grants and schemes available in Singapore. In the presence of such favourable elements, there has never been a better time than the present to start your own business. Southeast Asia has the fastest growing economies in the world, leading to an abundance of opportunities. Apply now to be a founder with us and help us make the world a little better. Alban Villani, general manager, Southeast Asia, Hong Kong & Taiwan for Criteo for Webintravel 2017.